You almost feel a little bad for MLB, like a toddler aware of, but not quite capable of the locomotion required to reach and open the snack drawer. They know all those juicy Biogenesis clinic records are there for the taking, but just can't seem to get their hands on them, even as seemingly everyone else does. Thwarted at every turn, MLB has resorted to opening its checkbook. The New York Times reports that baseball has paid a former Biogenesis employee to supply them with clinic documents, an ethically iffy move that pushes this whole thing squarely into the realm of farce. Giving it a final shove, at least one player named in the records has reportedly also purchased documents, with the intention of destroying them. How's that for a mental image? A low-level former Biogenesis staffer sending off evidence to be destroyed, then sending off the photocopies to be used against the player, and cashing checks from both sides. The Miami New Times originally broke the story of Biogenesis, the South Florida clinic that had allegedly supplied some of baseball's biggest names with PEDs. Then Yahoo picked up some of what the New Times had missed. Then ESPN managed to find some more leftovers. Documents for everyone! Except MLB, who begged and pleaded with the New Times to share what they had obtained, a request that was rightly turned down. MLB's plan B: a lawsuit against Biogenesis and its employees, claiming that supplying its players with PEDs led to a negative financial impact on baseball. (Late '90s attendance and ratings figures would call that case a shaky one.) It got off to a roaring start—MLB sued the wrong guy. 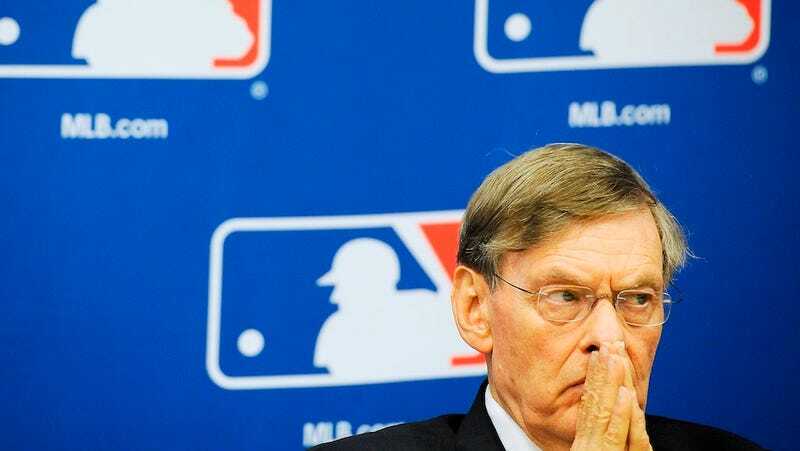 But now, reportedly, MLB finally has some hard evidence, evidence that it could produce for its suit (a suit, that in many eyes, exists only to give the league subpoena power to obtain more documents) and in any disciplinary hearings brought against Biogenesis players. Sure, it got the docs in a shady way—paying for evidence was precisely what halted the NCAA's Miami investigation—and sure, any halfway decent lawyer will be able to get evidence from paid witnesses tossed out of court. But now MLB has some papers with players' names on it! The Times report comes from Michael S. Schmidt, and when it comes to steroids, if Schmidt isn't carrying MLB's water, he's at least carrying his own to the same place. So the story contains references to MLB's "resolve" and "determination." But really, this is desperation. This is MLB's investigative arm admitting it's so inept it can't get primary evidence without waiting for the media to publish it, or outright paying for it. The evidence is tainted now, and shouldn't hold up in a suspension appeal hearing, let alone a courthouse. But that barely matters. MLB is desperate to prove to everyone that it's on top of this whole PED thing, even as every move shows how far behind it remains.